Patients look to you to provide care. 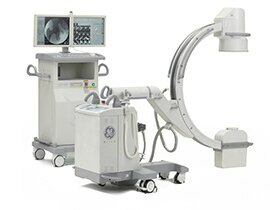 For refurbished OEC C-arms, look to GE Healthcare to deliver. 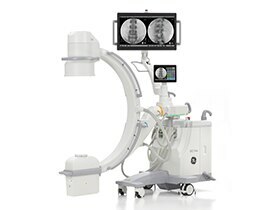 When looking for a refurbished system, quality and reliability are as—and sometimes even more—important criteria as when buying a new C-arm. Choose an affordable OEC C-arm, refurbished by experienced employees using genuine OEC C-arm parts, rigorously tested for over 16 hours, and certified in accordance with the original equipment manufacturer’s design requirements on the same site as new OEC C-arms. This may provide increased assurance regarding quality and reliability. *Applicable for U.S. customers only. 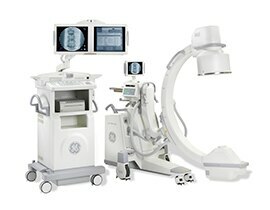 With a large inventory of refurbished OEC C-arms, GE Healthcare can fulfill orders quickly. Over 75% of orders are ready for post-testing software configuration with the intent of fulfilling each customer’s order within one business day of receipt. Protect your staff, patients, and OEC equipment investments with custom fit C-arm drapes and other disposables and accessories. 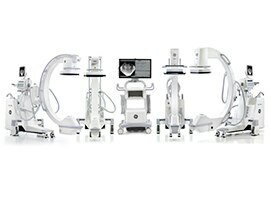 Take advantage of training from dedicated OEC C-arm clinical imaging specialists who train over 14,000 clinicians and technologists annually. A CE-credit education series is available for purchase through the OEC University program. Whether you're looking for a full-service contract or on-demand OEC C-arm repairs, it makes good business sense to partner with us to keep your equipment up and running. 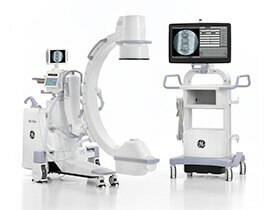 Learn how GE Healthcare's OEC C-arm Service offerings are redefining peace-of-mind.